How many contacts have you got right now on LinkedIn? How many friends on Facebook? Do you find yourself simply clicking ‘yes’ or ‘no’ indiscriminately out of habit, not really sure how someone really does know you? And how many of them do you actually exchange valuable conversations with? Your aunt that you haven’t seen in 20 years, friends from primary school you no longer have much in common with, the pizza delivery guy or the person you met at a networking gig on Saturday? Social media has made us more connected than ever before. Yet we report feeling more disconnected than ever before. How much input or influence do they really have in what you’re doing or trying to achieve? Here’s the bottom line. It’s about quality and not quantity. We don’t need more contacts, we don't need more friends and we don't need to spend more time connecting on line. If this was all we needed then every one of us would be enjoying unparalleled success through the sheer number of opportunities we have to connect. 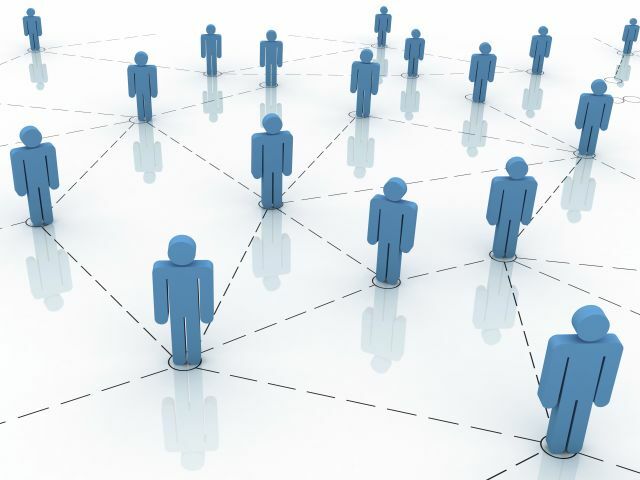 Don’t get me wrong this old style of networking still is absolutely essential for business growth, lead and sales generation. But the problem is that it does nothing to fuel our personal and professional growth. A marketing machine – that champions you and your cause, lighting up your personal fire of belief and self confidence, pushing you to do ore, be more and take action on those goals and success dreams. An intelligence bank that sustains you over the long term, expanding your knowledge and wisdom and pushing you to know more every day. So while I’m not suggesting you SHOULD go away and cull everyone from your LinkedIn or Facebook network, you MUST take a long hard look at the way you network now and the way you could network to get ahead. Do you have a personal marketing machine – people who believe in you, that want to see you succeed and who promote you, your skills and capabilities whenever they can? Seek out your intelligence bank - those people who challenge your thinking, planning and direction and who add the skills and expertise you don’t have. And what about that all-important Board of Advisors? Individuals who would truly push you to achieve more, open doors for you and who encourage you to be more in life and in your career? For most of us, I can honestly say, that it won’t be an aunt or the pizza delivery guy.